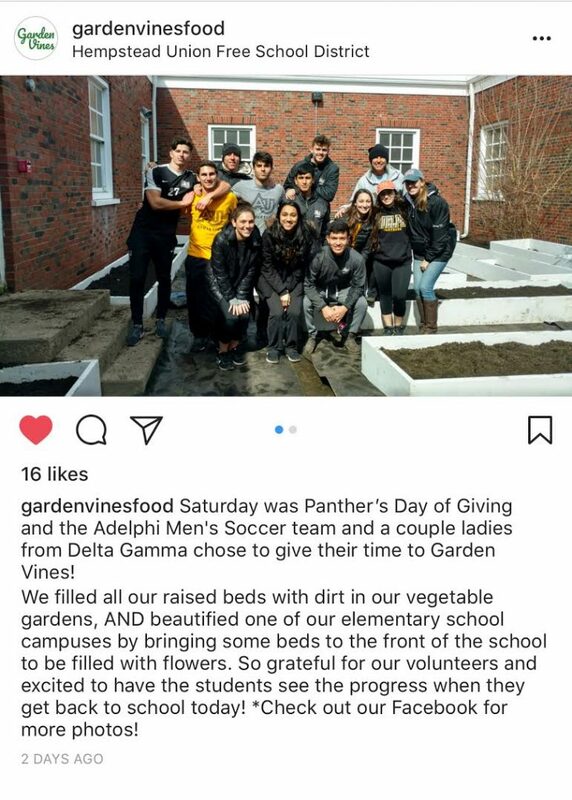 Saturday was Panther’s Day of Giving and the Adelphi Men’s Soccer team chose to give their time to Garden Vines! 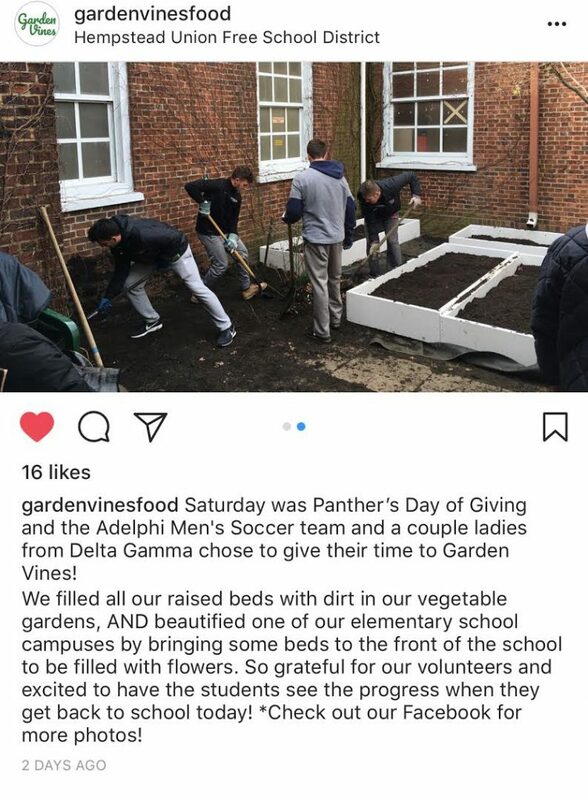 We filled all our raised beds with dirt in our vegetable gardens, AND beautified one of our elementary school campuses by bringing some beds to the front of the school to be filled with flowers. So grateful for our volunteers and excited to have the students see the progress when they get back to school today!